Asia is undergoing rapid and unprecedented economic and social growth. While change brings opportunities for businesses and societies, it also brings into focus the intensifying impact of existing disasters and unexpected risks. To build prosperous, inclusive, and sustainable Asian businesses and societies, we must first create safer and more resilient organizations and communities. Building and strengthening disaster resilience requires a systematic, multi-dimensional, and collaborative approach. 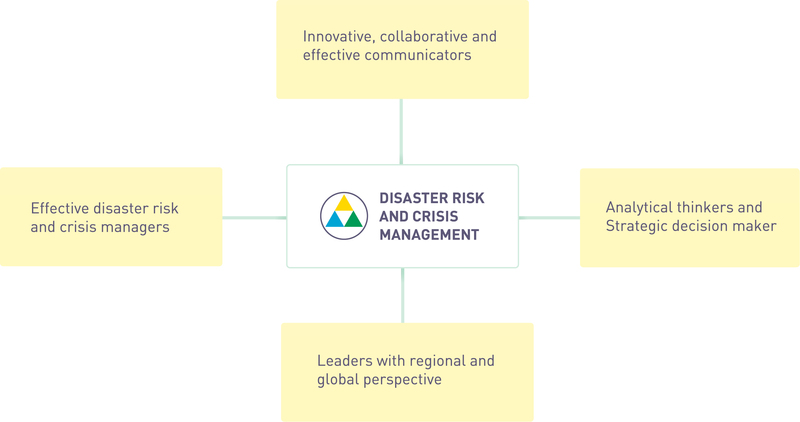 Risk prevention and risk reduction require capable leaders expertly trained in disaster risk and crisis management — leaders who can adapt to dynamic conditions, lead diverse teams in complex situations, and efficiently and effectively address pressing issues. The 18-month intensive, immersive, and practitioner-oriented Executive Master in Disaster Risk and Crisis Management (EMDRCM) is a five-term, part-time graduate degree program. The program equips students with the skills they need to build resilient Asian organizations and communities using management and leadership principles, as well as good business practices. 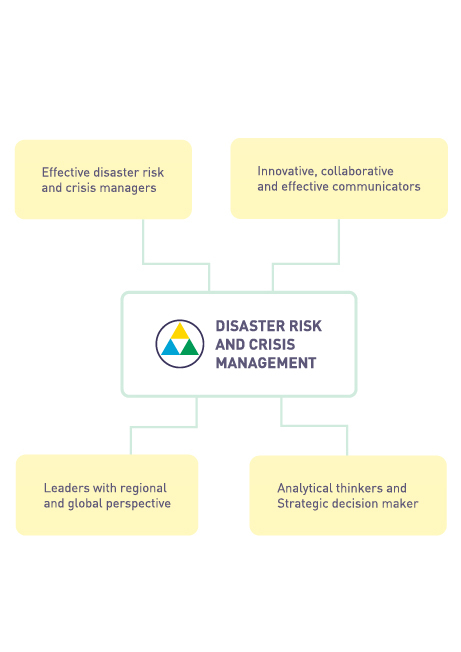 Students will learn how to assess and analyze the disaster risk and crisis environment and operating context, and develop coordinated and integrated approaches to address different types of disasters and crises. They will also learn how to implement holistic and inclusive plans and programs, evidence based strategies and innovative solutions. Finally, they will acquire skills to lead and mobilize diverse stakeholders and functions to achieve results. The EMDRCM program is designed to align with the Sendai Framework for Disaster Risk Reduction 2015–2030, the UN Sustainable Development Goals 2015–2030, the Agenda for Humanity, and the Paris 2015 UN Climate Change Conference Agreement. Applications for EMDRCM Class of 2019 are now open.